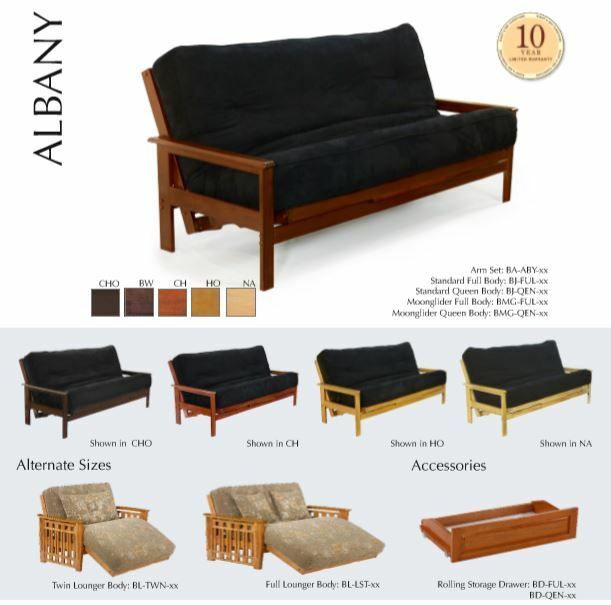 Albany is the perfect futon classic. Exceptional value combined with easy, crisp styling. Looks good, sits good, feels good! The Standard Collection is our broadest and most diverse collection. Here you can find the style that fits; models to go with any room and satisfy every taste! And not least, The Standard Collection features our SHOE FITTINGS™ BRONZE operating system on every frame. Made of plantation grown hardwood assuring strength, performance, and durability. Each seating piece is not only a sofa but also a recliner. Dual plastic safety stops are added to every frame making for a secure sofa and reclining position. The Quick Release™ dead-bolt system makes for easy attaching and detaching of the seat and back decks. Storage drawers constructed from hardwood to be used with all drawer height frames. Four wheels on each drawer for easy rolling. 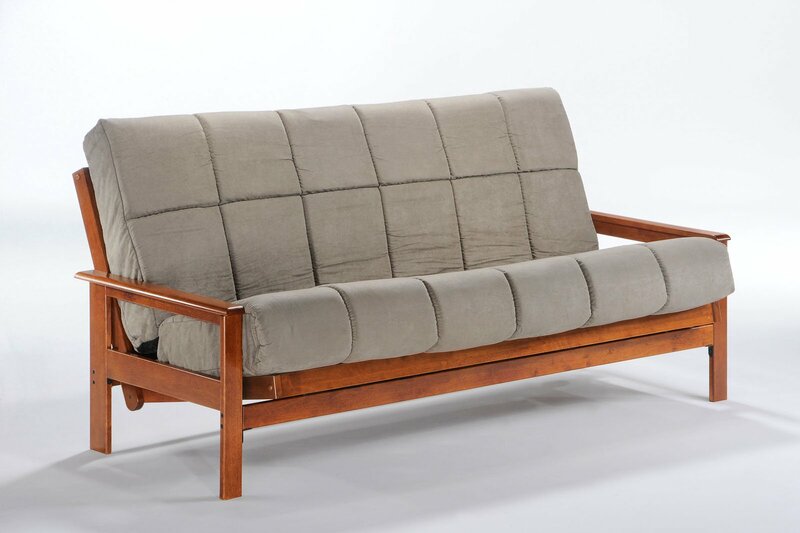 Available in Golden-Oak, Teak, dark Cherry, Chocolate and Natural finishes.